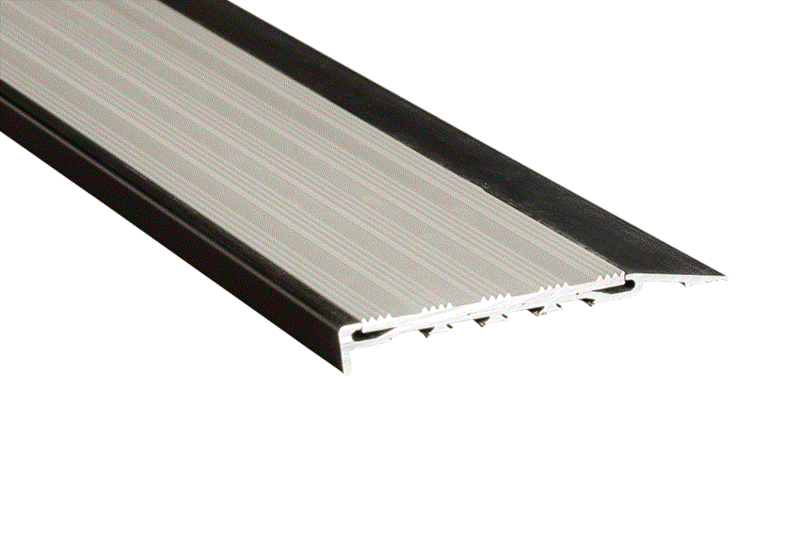 anodised aluminium. This series provides designers with options for seamless integration of the stair nosing with surrounding finishes, whilst allowing any unsightly screw fixings to be concealed. 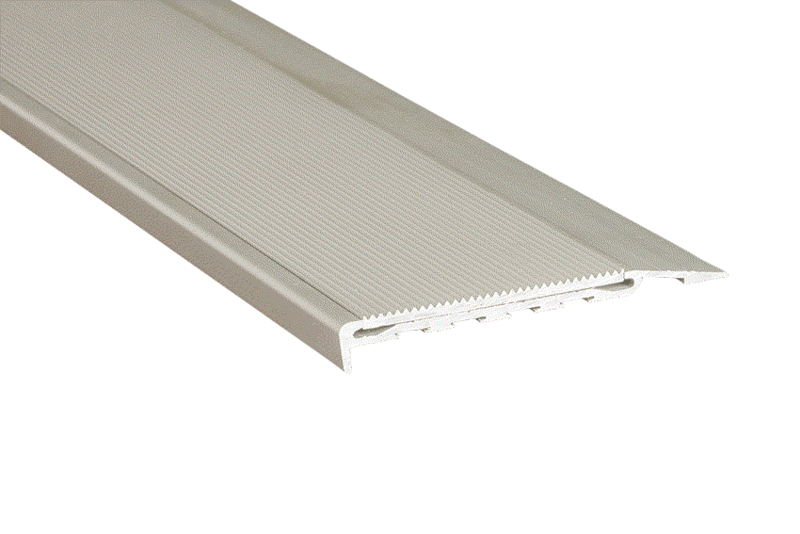 This aluminium profile can be interchanged in a multitude of combinations giving the creative license back to the designer. 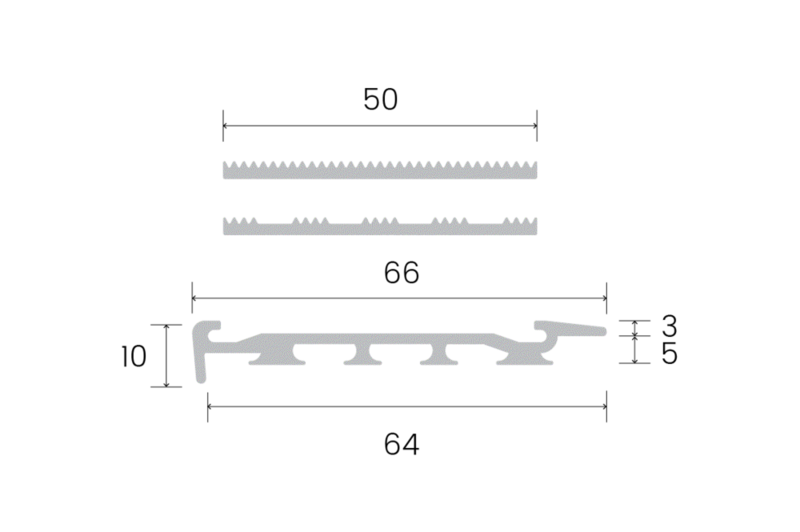 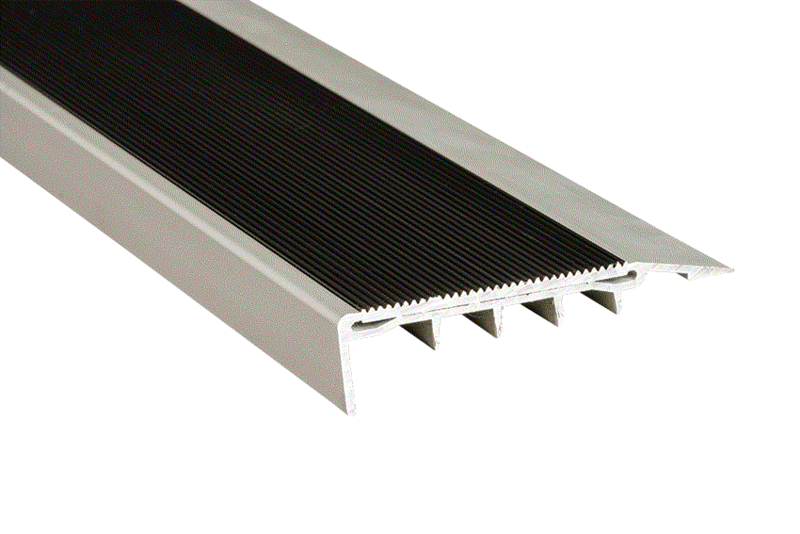 Made from quality T6 aluminium, and treated with tough anodising, this slip resistant nosing complies with all regulatory standards. 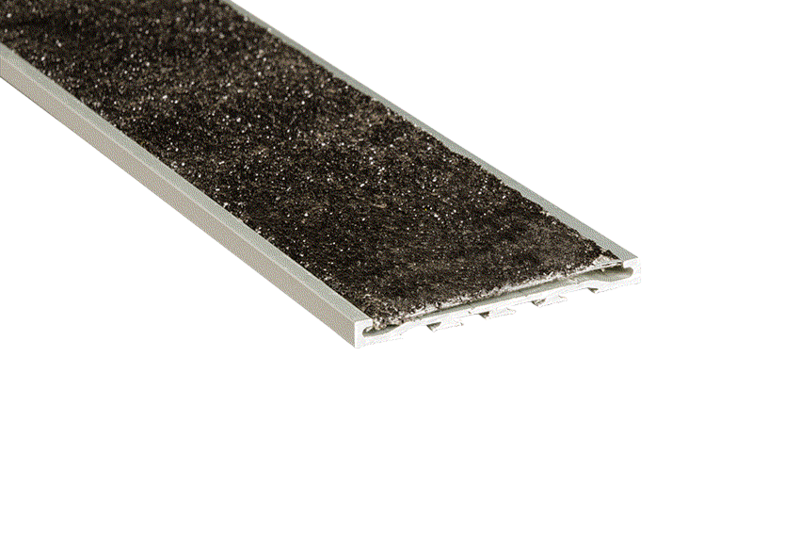 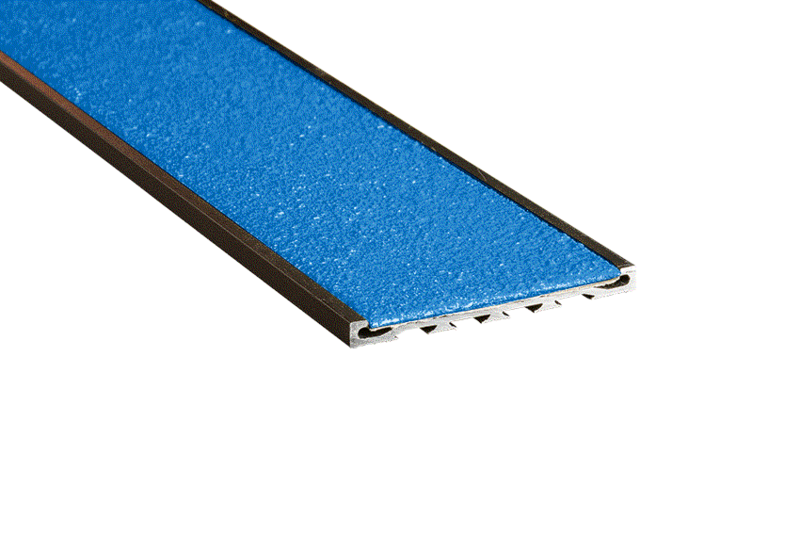 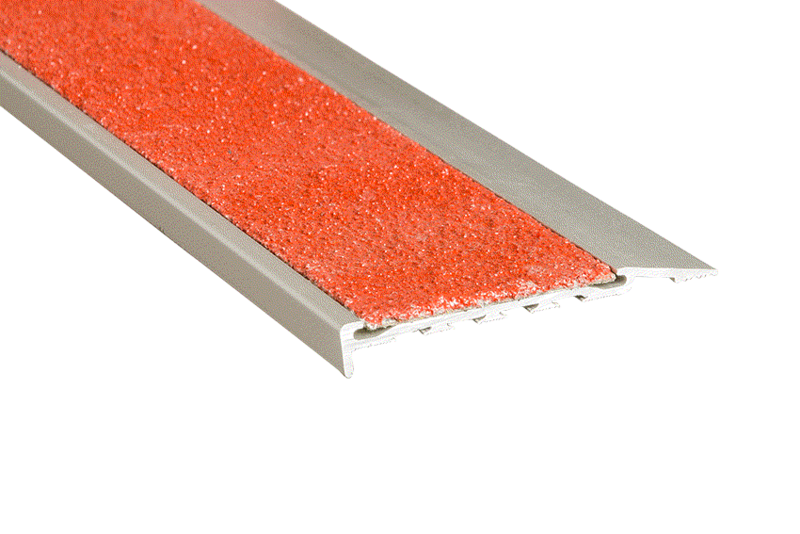 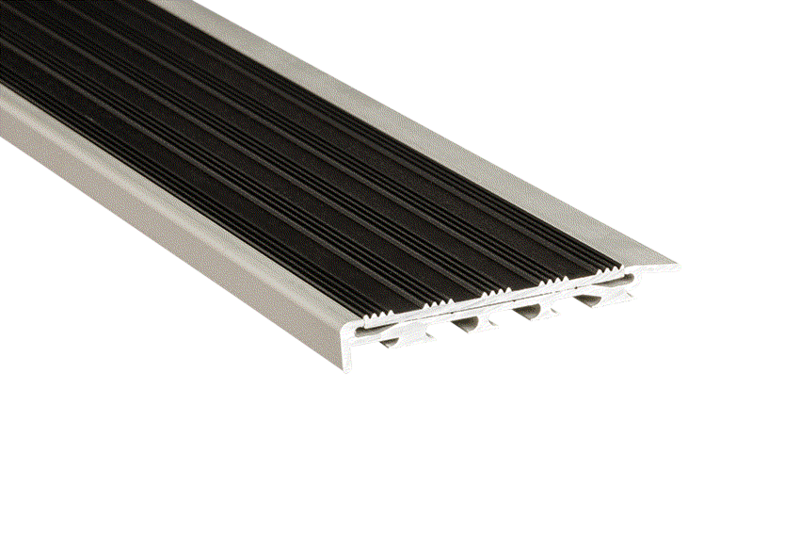 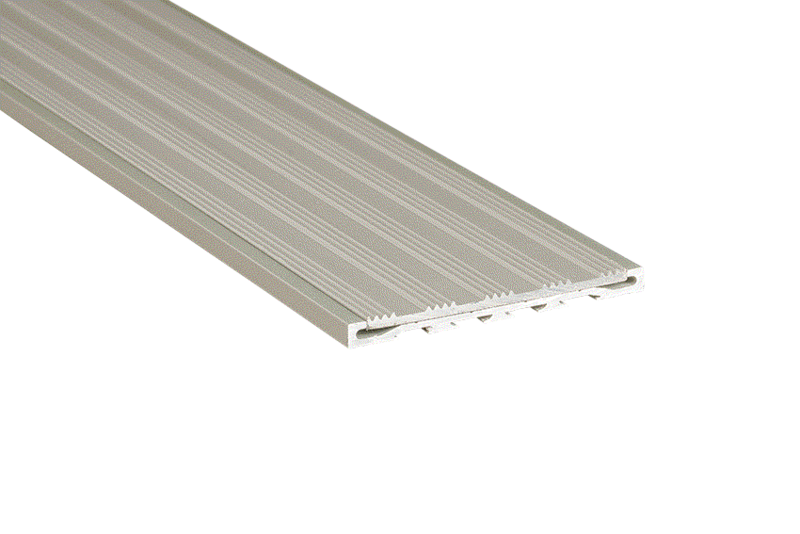 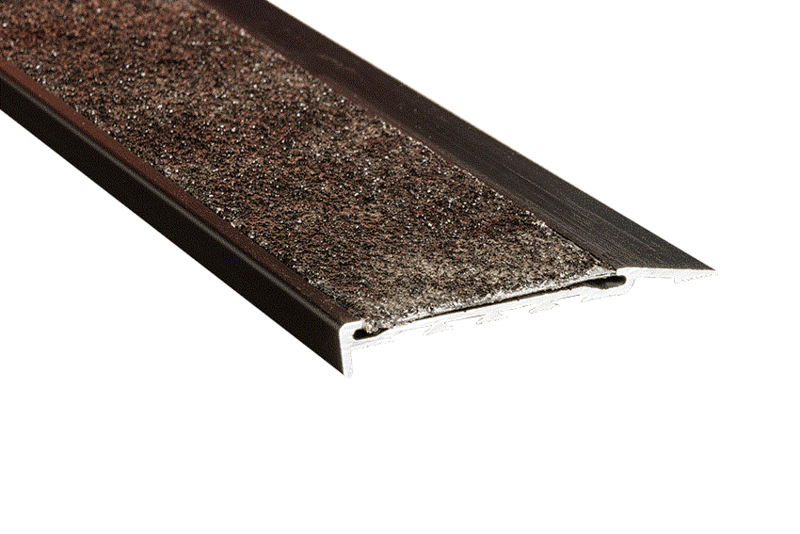 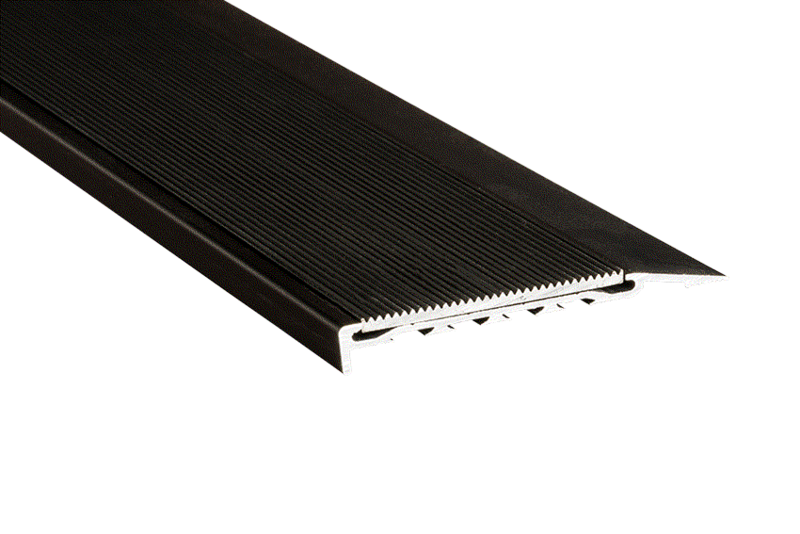 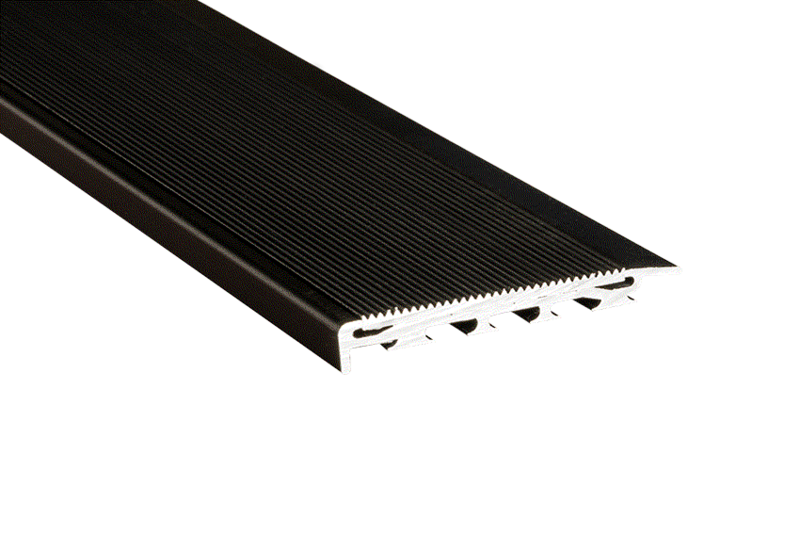 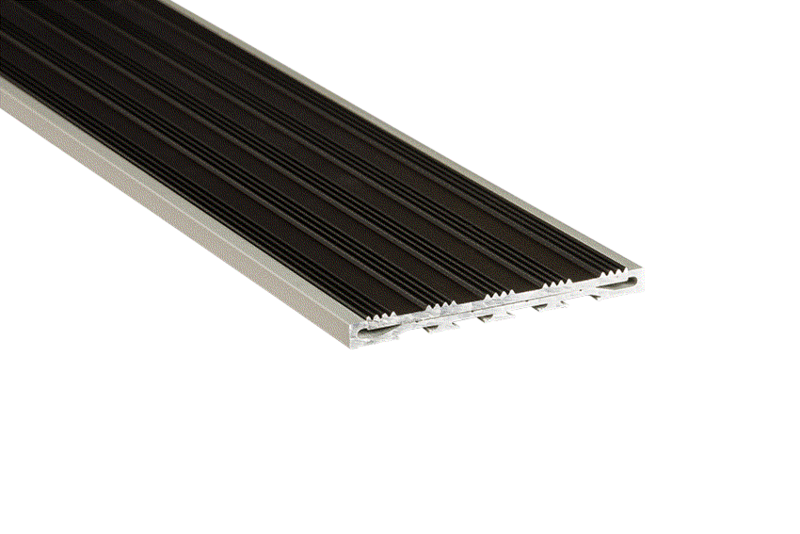 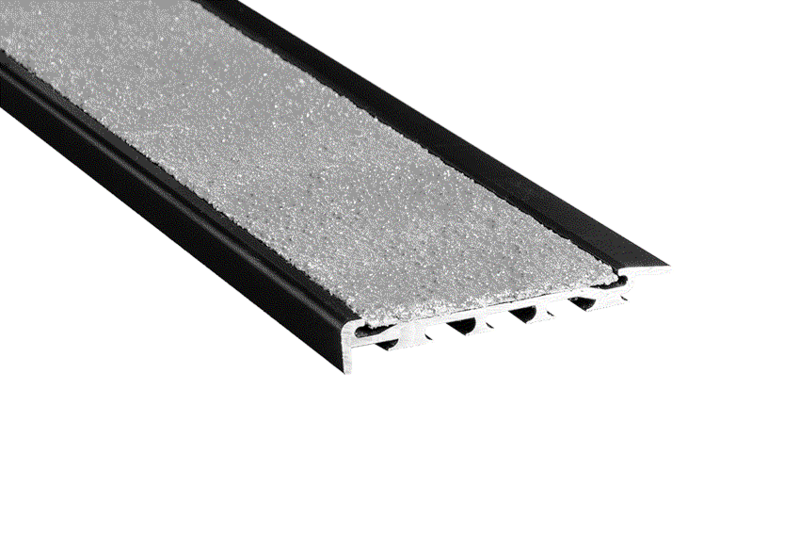 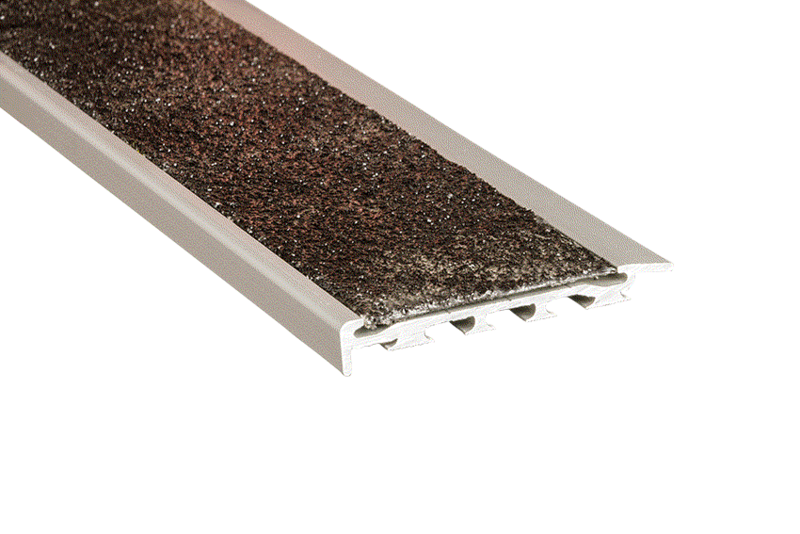 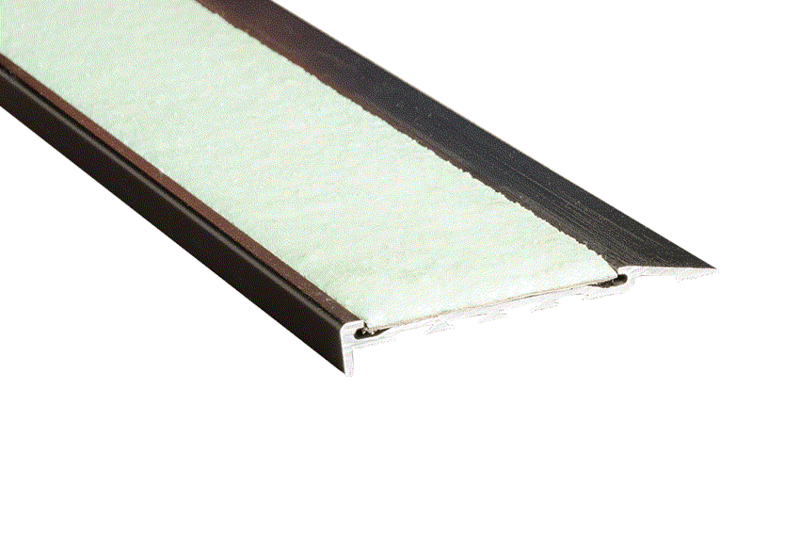 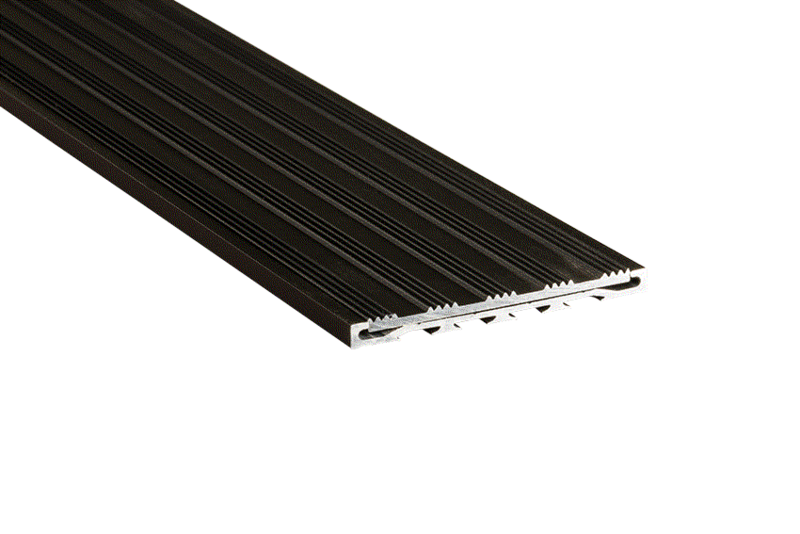 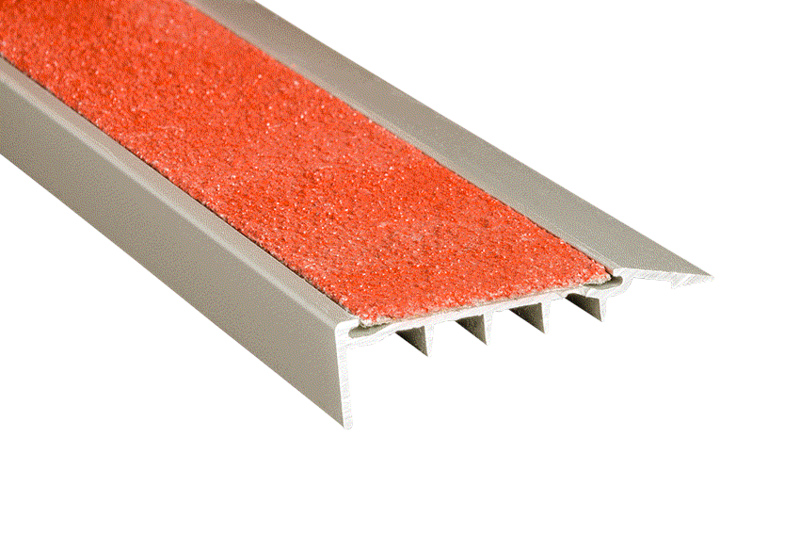 The V-Series Aluminium stair nosing is suitable for the most ornate, or the more rudimentary application.